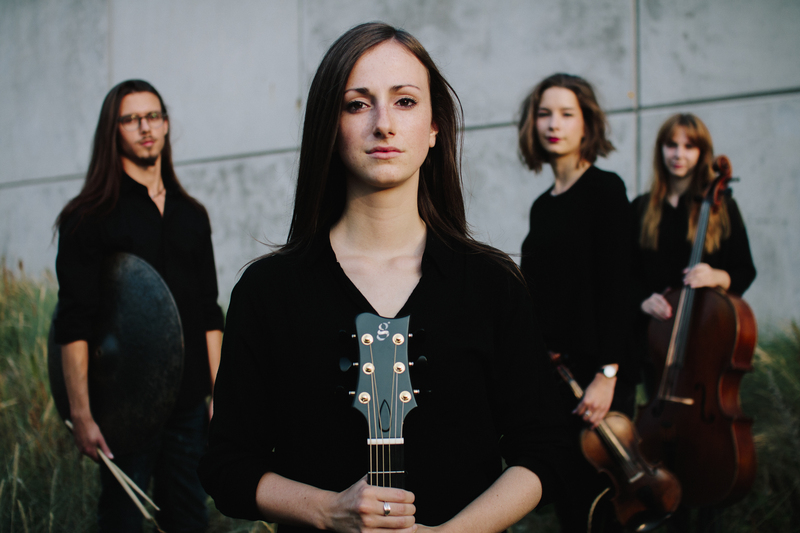 Merel van Hoek (1994, The Hague) is a guitarist and composer. She started as a fingerstyle guitarist but she is discovering different genres and this can be heard in her music as well. In 2014 she began to study at the Royal Conservatoire in The Hague where she studies music education and composition. Her ensemble ‘Van Hoek Quartet’ was founded in Den Haag, and consists of: Merel van Hoek (guitar/compositions), Nina Zuure (violin), Berber Heerema (violoncello) and Guillermo Martín Viana (drums). When the quartet plays you can hear a mixture of musical genres such as classical-, jazz-, world- and popmusic. Their music is often described as dreamy, atmospheric and uplifting. Bands, musicians and composers that inspire the quartet are Chilly Gonzales, Julian Lage, Jesse van Ruller, Maurice Ravel, Radiohead and Philip Glass. The quartet was invited to play opening acts for IDENTIKIT, Matangi Quartet and are currently working on their debut album.